Day-to-day responsibility for ensuring this policy is put into practice is delegated to Instructor. The findings of the risk assessments will be reported to Director/Instructor. Action required to remove/control risks will be approved by Director. The Director/Instructor will be responsible for ensuring the action required is implemented. Director/ Instructor will check that the implemented actions have removed/reduced the risks. Assessments will be reviewed every two months or when the work activity changes, whichever is soonest. the health and safety consequences for them of any new technology we plan to introduce. The information provided to group will be in a form that can be easily understood. 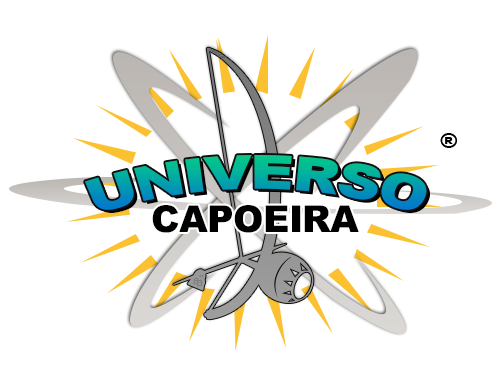 Universo Capoeira will consult directly with group through team meetings and face-to-face discussions. Universo Capoeira will allow enough time for Trustees to consider the issues and give informed responses. Group are encouraged to ask questions, raise concerns and make recommendations. Universo Capoeira will take group’s views into account before a final decision is made, respond to any concerns and questions raised and explain the final decision and why it has been taken. The Instructor will be responsible for ensuring effective maintenance procedures are drawn up. Director will be responsible for ensuring that all identified maintenance is implemented. Any problems found with equipment should be reported to the Instructor immediately. Instructor should report it to the manager of the hired place. Instructor will check that new equipment meets health and safety standards before it is used by students. The Director will check that new substances can be used safely before they are purchased. Universo Capoeira does not currently use or store any substances which need a COSHH assessment. The Health and Safety Law poster is provided under request. The Director is responsible for ensuring that our group working at locations under the control of other employers are given relevant health and safety information. Induction training will be provided for all Helpers by the dedicated staff member. Specific training is required for some activities within Universo Capoeira. The first aid box is kept with instructor at all times. Instructor is the responsible for reporting accidents, diseases and dangerous occurrences to the enforcing authority. To check our working conditions, and ensure our safe working practices are being followed, we will carry out inspections and spot checks investigate any accidents or sickness absences that occur. Director is responsible for investigating accidents. Director is responsible for investigating train-related causes of sickness absences. Director is responsible for acting on investigation findings to prevent a recurrence. Escape routes are responsible of the premises hired by Universo Capoeira. Emergency evacuation drills are the responsibility of the premises hired by Universo Capoeira. Instructor is responsible to ensure that hired premises have this specific drill in place. Fire Drill Procedure the responsibility of the premises hired by Universo Capoeira . Director is responsible to ensure that hired premises have this specific drill in place. Universo Capoeira team will be made available to support the Instructor with all tasks due to the legal obligation of the organisation and supporting Instructor in post with day to day running of the company.